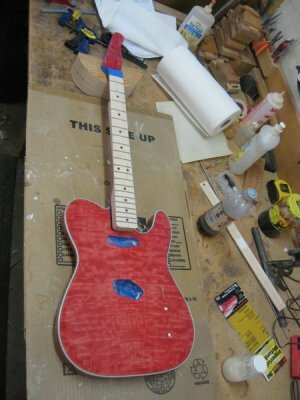 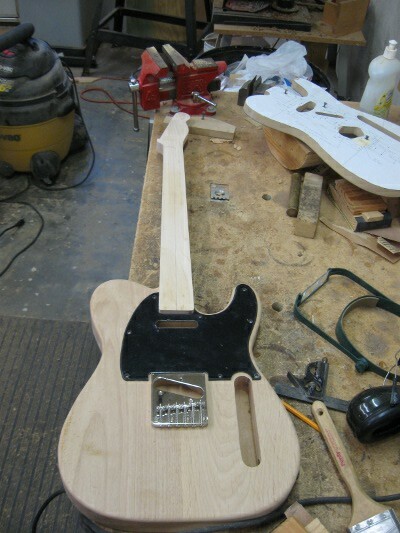 I'm once again building guitars at GBGuitars. 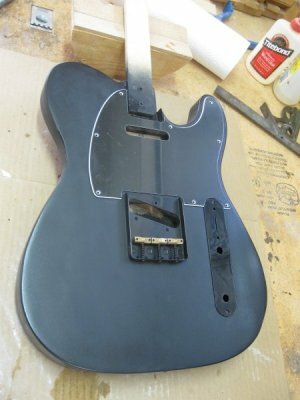 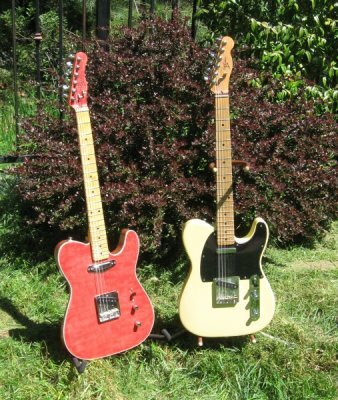 I'm now focusing on electric guitars based on classic 50's designs. 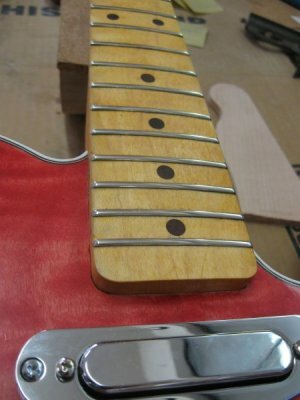 Our TK and TKO models are in production right now. 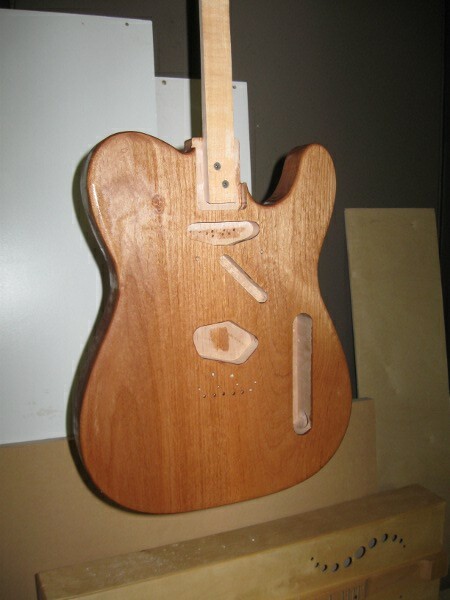 Every body is routed and shaped by hand. 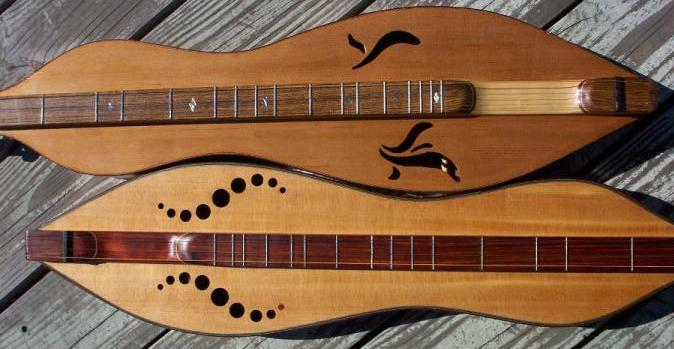 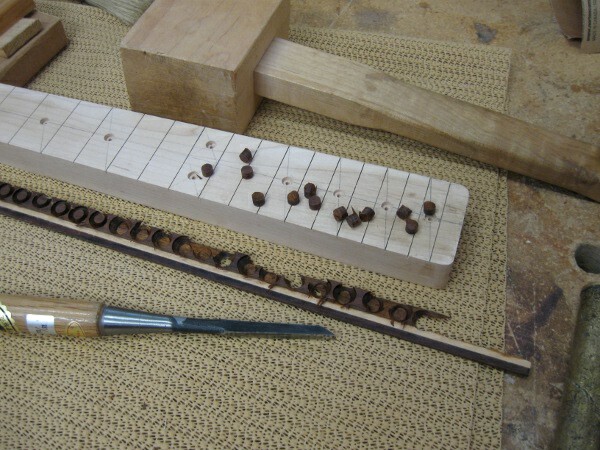 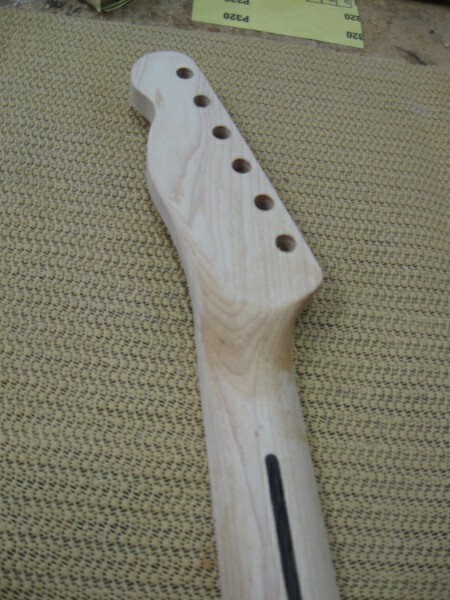 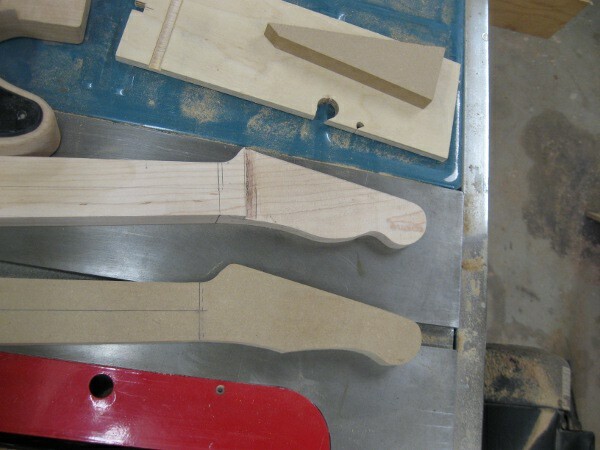 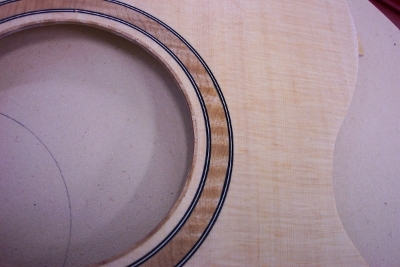 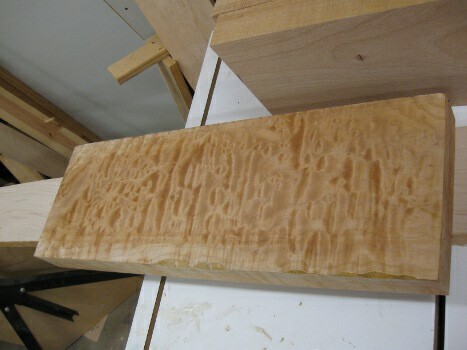 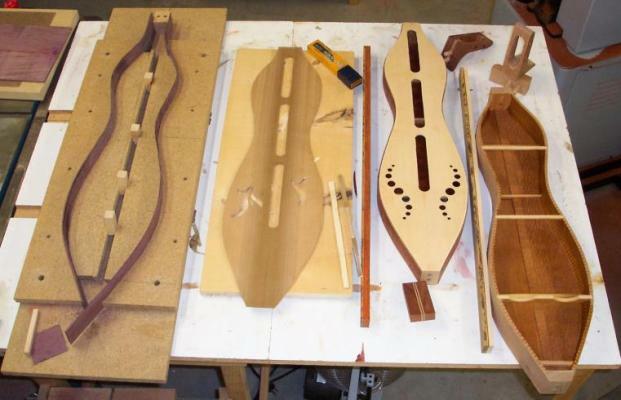 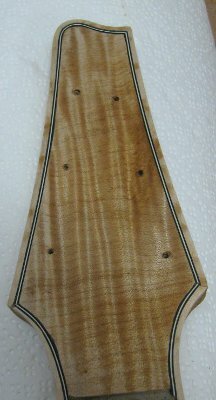 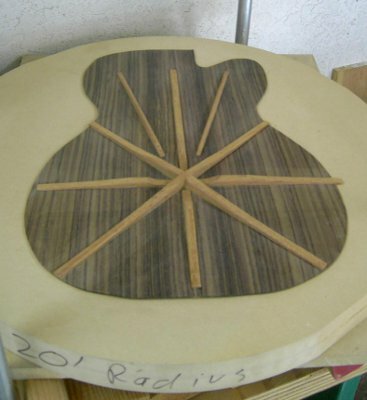 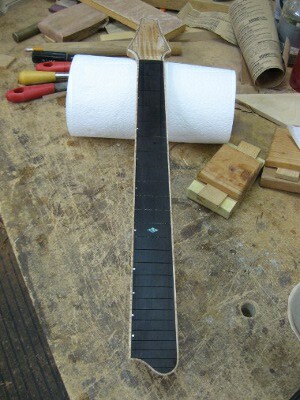 Every neck is shaped by hand to a classic C, classic D, thin-fast-speed-neck, or even asymmetrical shapes. 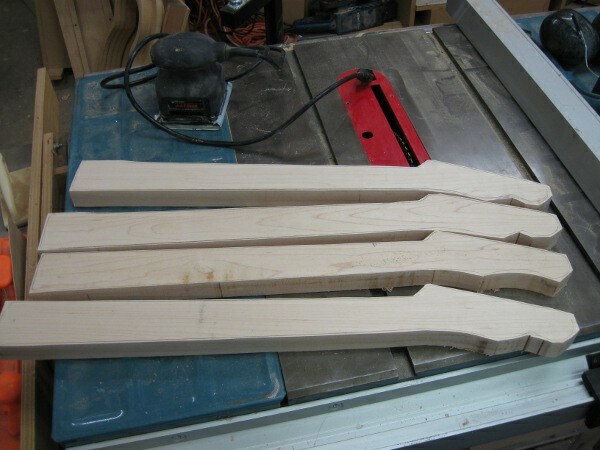 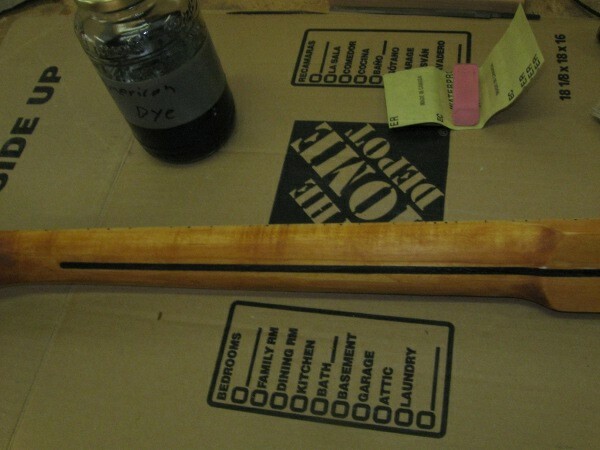 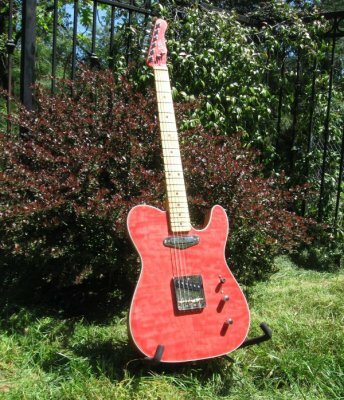 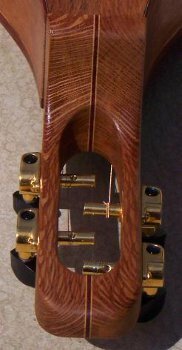 The necks are dyed by hand to shades from "New Blond" to "Antique Maple"
I build all Maple necks as well as necks with fretboards of Rosewood, Cocobolo, Paduak, Bocote, and many other exotic hardwoods. 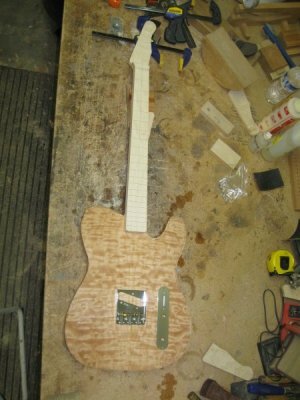 I'm using pickups Wilde Pickups by Bill and Becky Lawrence but pickups by Lindey Fralin, Jason Lollar and others are also available. 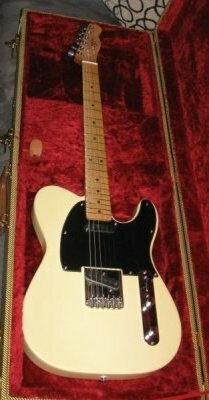 The price point will knock your socks off. 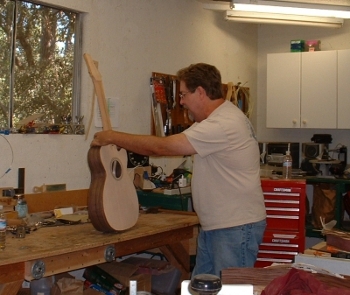 From the selection of the wood to the final setup it's all made by hand and made by me: Greg Brouelette.